Our Auckland Points of Interest Guide is a handy guide for the budget conscious traveller and those wanting to enjoy Auckland's natural landmarks that often don't cost anything to enjoy. Our Auckland Points of Interest Guide includes museums, regional parks, iconic beaches, historic reserves, art galleries and more. Auckland Art Gallery and the Auckland War Memorial Museum are some of the most visited attractions in the city. The beaches and Waitakere Ranges on the west coast are ideal for those who like to explore the great outdoors. 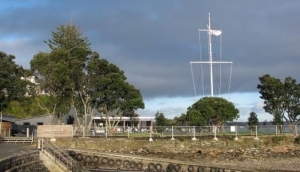 Auckland Botanic Gardens to the south, is a great day out with the family, while a hop across the water to the seaside village of Devonport offers a couple of historic reserves with stunning views of the Auckland skyline. Our suggestions take advantage of our local knowledge to highlight all those off the beaten track places worth discovering in Auckland. Our team of local experts have personally visited every place taking videos, 360 virtual tours and photos to give you an accurate insight into what to expect. We have also created a 'Beaches Guide' and a 'Gardens and Parks Guide' to give you more inspiration that won't impact your budget. North Head Mount is an enjoyable 20 minute walk from the Ferry Terminal. The Mount is full of history and gorgeous views of Chelthenham beach, Waitemata Harbour, Aucklan.